Lately, I have been having so much fun on my trip down TACA memory lane! Not the autism challenges so much (understatement), but the unexpected gifts of friendship and community that TACA has brought into our life. Looking back there have been hundreds of moms, dads, grandparents, aunts, step parents, siblings, extended family members and friends driven towards the health and well being of our children. It’s TACA’s own Sisterhood (with some brothers thrown in) of the Traveling Pants meets Steel Magnolias. TACA is about sharing – the good and the bad – to help the sisters and brothers in our big autism family just make it through another day with a little hope, a little humor and a whole lot of steely resolve! Like a well scripted Hollywood movie created to invoke tears, anger, laughter and triumph – this sisterhood / brotherhood of amazing volunteers inspire me daily. Every morning, and I mean EVERY morning, I am greeted with e-mails, FB posts and phone messages written or left by our volunteer chapter coordinators from chapters throughout the country. And without fail, these precious notes make me cry or high-five myself because of the great improvement TACA families are experiencing. There are so many stories of hope starring children who have made huge strides from treatments. I LOVE that these volunteers take time to share those victories with me. I LOVE it so much that very soon, TACA will be featuring these Stories of Hope on our website and in our newsletters. Why should I be the only one to start my day with a dose of inspiration? Back to our amazing volunteers. They are really something to behold. TACA’s chapter coordinators spend their time working TACA’s mission for free. We could never pay them what they are worth. They take endless phone calls and emails from parents in need, plan and organize chapter parent meetings and coffee talks in their chapter territory, and have even been known to plan group trips to their local supermarket to make sure we keep our kids healthy through the meals we serve them! You can’t miss TACA volunteers in your community. They are an army of altruism, giving their hearts and souls to help families feel less lost, more hopeful. Like the cutest sports team you have ever seen, they are out there in full TACA “uniform” – wearing a TACA t-shirt, carrying a TACA bag, driving a car sporting a TACA magnet (or two) telling the world: AUTISM IS TREATABLE or 1 IN 91 IS TOO MANY. (In my case the magnet/sticker count is at 8 and growing….it might be what is holding my 10 year old car together). These volunteers do all of this while supporting their own families, often with a child (or children) on the spectrum as well as the siblings who are not. These wonderful people are gifts to me. They will never understand how much I treasure what they do. They give so much of themselves for TACA members and their reward is to bear witness to the success stories they helped make happen. They live for these success stories – no matter how big or small – to fuel them through the next family’s challenge. I know that feeling. I live for those moments too. So many of our volunteers start with the most thankless tasks – serving TACA by helping set up meetings or cleaning up at an fundraising event. Others sign up to mentor new families, answer parent phone calls or emails, share what they have learned the hard way with the next family eager to learn. Some help us with mass mailings by folding letters (FUN!) and racing to the post office to meet a deadline. We love all of our volunteers because they make TACA tick. But the ultimate volunteers are the TACA coordinators that dedicate more hours to TACA and TACA families than plenty of people I know pulling a paycheck give to their employers. I wish TACA could build chapters where ever there is a need. 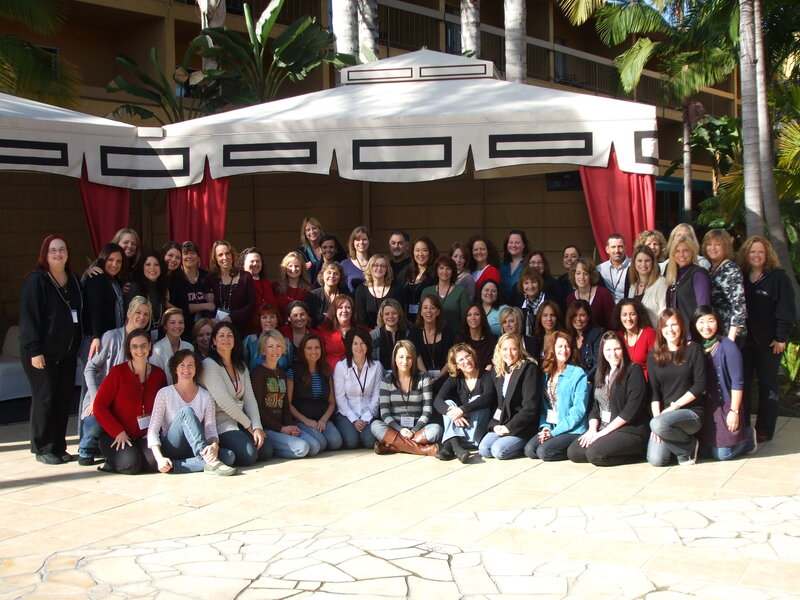 TACA has grown so fast, from 500 families in one chapter to close to 27,000 members in 25 active chapters. We are working hard to build the solid foundation we need for TACA’s next growth spurt. It is a challenge everyday to juggle the issues of time, money, and need, but in the end we know families are counting on us to be there. While most of our TACA heroes are women, we got Super Dads on a mission as well. This little note is a shout out to ALL of them! We are serving side by side on a mission to help the thousands of families every year that just need a little love from the TACA community, a little guidance and support to help move their child to the next victory. After all, that’s all we wanted, someone to help us along. TACA volunteers get just as much as we give helping one family at a time steer their child to a life of greater potential. That’s a Hollywood ending I could watch over and over.